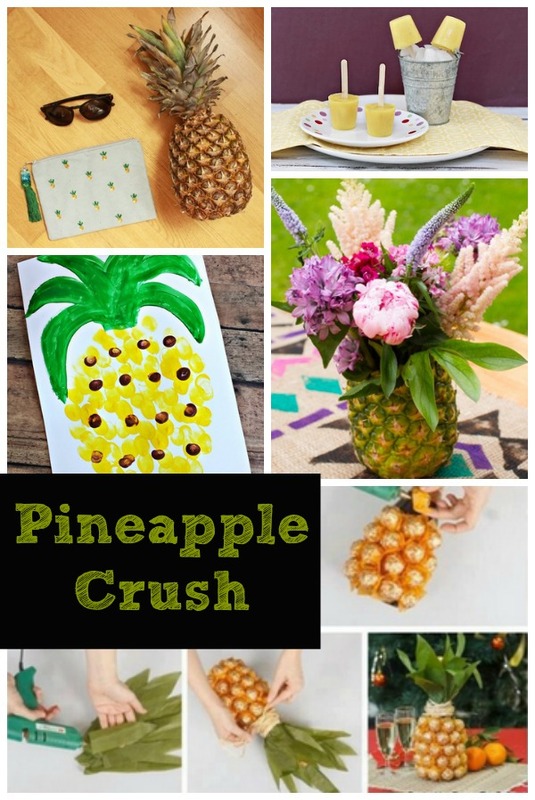 The latest and greatest trend in crafts and casual fashion is…you’ll never guess…Pineapples! People are applying them to clothes and shoes, using them in home decor projects, and slapping a pineapple on just about anything that doesn’t move. Want to have fun with this Summery trend in your sewing? Well, mix up a pina-colada and let’s get creative! 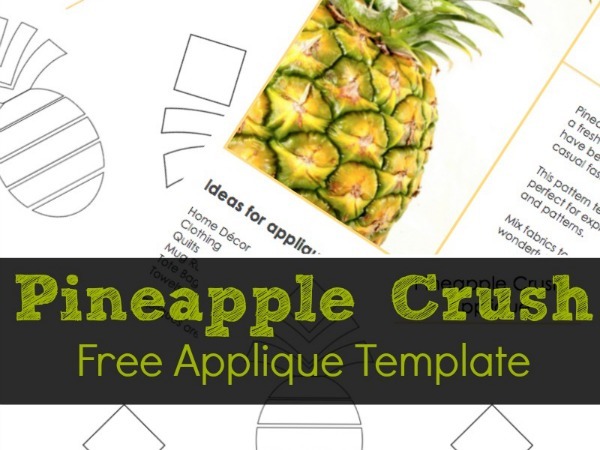 I’ve teamed with our friends at Craft Ideas Weekly to create this Pineapple Applique Template. You can do so many things with this baby. It comes in two sizes to fit most projects in your line up. I used the smaller one to make a cute kitchen towel. 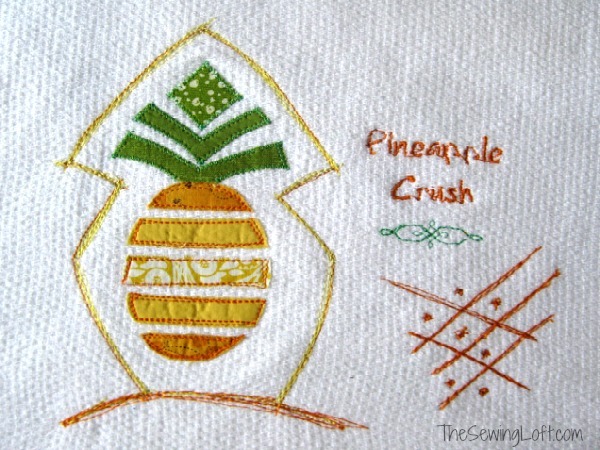 I took the pineapple design a step further by adding the words “Pineapple Crush” and some embroidery in fun colored thread. Grab your free template here and get creative today! 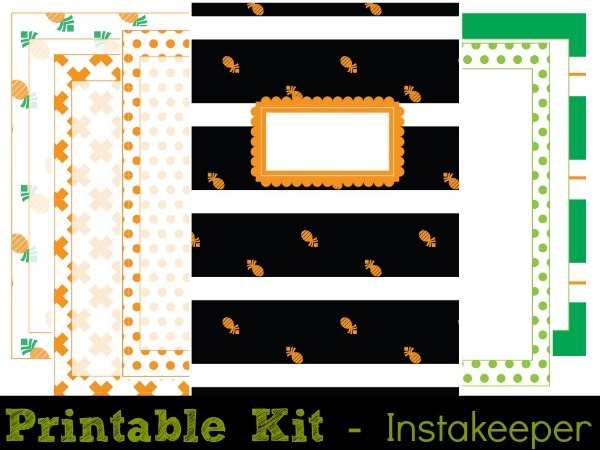 Since I am sure you are snapping pictures all summer long, be sure to grab this cute Pineapple Instakeeper Mini Album Kit to save all your favorite vacation photos. Craft Ideas Weekly even has a cute video to show you just how easy it is to put together. Love it! What will you create with this pineapple appliqué?